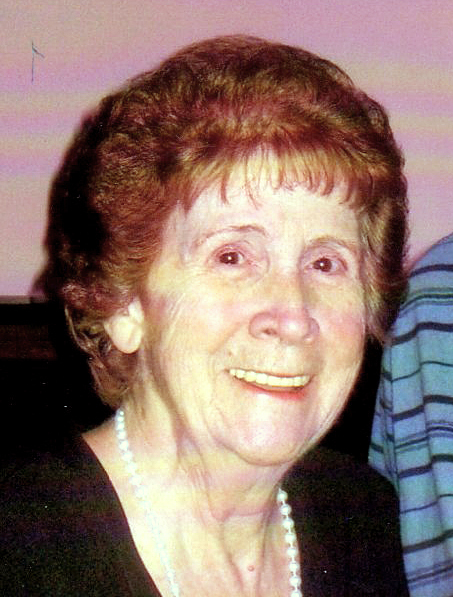 Margaret M. Sykes, 84, of Spotswood, passed away peacefully at her home on Monday, April 15, 2019. Born and raised in Brooklyn, New York, Peggy lived in Old Bridge for 24 years before settling in Spotswood in 1990. She was a communicant of Immaculate Conception Church, Spotswood. For 20 years, Peggy was a baker for the former Sunshine Biscuit Company of Sayreville. Afterwards, she worked for 10 more years for Target in Milltown, retiring in 2010. Peggy was very a much a family oriented person spending time with her children and grandchildren. She looked forward to and enjoyed her trips to the Jersey Shore and the Poconos. Predeceased by her husband William in 1989 and her siblings, Raymond and Lionel Greene and Emilene Susco, Peggy is survived by her children, Bill and his fiancée Laurie Thomas, of Spotswood, Ken of Old Bridge, Steven of Waretown and Daniel and his wife Jill, of Millstone Twp; her daughters-in-law, Patty and Marianne; a sister, Ann Creagh; her grandchildren, Alyson, Michelle, Shauna, Michael and Thomas, and; her great-grandchildren, Matthew, Natalie and Zachary. Funeral services will begin on Thursday with an 11:00 AM Mass of Christian Burial from St. Joseph's Church, 91 Stillhouse Road, Millstone Twp., followed by interment in Chestnut Hill Cemetery, East Brunswick. The family will receive friends Wednesday evening from 4:00 to 8:00 PM at Spotswood Funeral Home, 475 Main Street, Spotswood.